Troy VTX olympic bumper plates are considered some of the best in the industry- combining great quality bumpers with an unbeatable price. On top of that, a 1 year warranty against breakage gives each user peace of mind. Don't be fooled by the low price- these VTX bumper plates are used by affiliates throughout the US- and they are known for their high quality, low bounce, and outstanding durability. Our VTX Olympic Bumper Plate Set O-SBP-230 with solid steel insert is a high quality, branded bumper plate, engineered to our demanding standards. It routinely outperforms other, more expensive models of its kind, making it the perfect value solution for gym and institutional use. We are so confident in its structural soundness.The VTX Olympic Bumper Plates Set O-SBP-230 are full rubber with stainless steel inserts. They are designed for the Olympic lifts, but they are also great for the slow lifts- deadlift, squat, etc. The rubber makes for a quiet lifting session- even when dropped from overhead! We wouldn't hesitate to recommend these to anyone looking for bumper plates for CrossFit or Olympic lifting. The Troy VTX bumpers are priced right and offer a level of quality that is unmatched in anything in its price range. Call 1-800-875-9145 to speak with one of our fitness advisors with any questions you may have about any of our barbells and plates. Get Motivated! - Step up your fitness program today and go to FitnessZone.com to order your VTX Olympic Bumper Plate Set O-SBP-230. 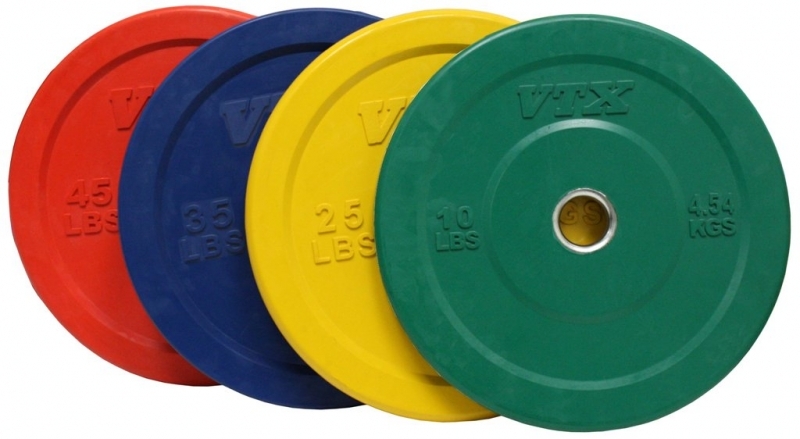 Set includes a pair each: 10lb(Green), 25lb(Yellow), 35lb(Blue) and 45lb(Red) bumper plates. 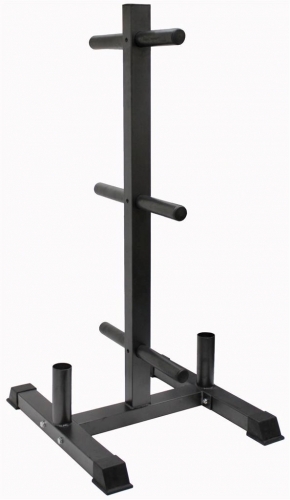 Product Description:This versatile, institutional plate rack holds 2” Olympic bumpers or any other style Olympic plate on every weight horn. The convenient welded bar holders on each end store 2 Olympic bars. Order your VTX Olympic Bumper Plate Set O-SBP-230 from FitnessZone.com today!